Mid and East Antrim Borough Council in partnership with the Public Health Agency have recently delivered a new £30,000 outdoor gym facility in the heart of Ballykeel, Ballymena. Local residents in the area have been lobbying for improved facilities within the area for some time and the outdoor gym was delivered thanks to funding made available by the Public Health Agency (PHA). Michael Owen, Health & Social Wellbeing Improvement Manager at the PHA, said: “This outdoor gym will enable residents of Ballykeel to access fitness equipment right in the heart of the community. Participation in physical activity, sport and exercise is great for both body and mind. It helps maintain a healthy weight and protect against heart disease, some cancers and type 2 diabetes. Physical activity also helps with our sleep patterns and can improve our mental health by reducing stress. Outdoor gyms provide an opportunity to engage and interact within our communities and have been shown to boost our happiness to form a sense of belonging, build confidence and learn new skills. Exercising outdoors is low cost and has been shown to combat many of the underlying causes of poor physical and mental wellbeing. 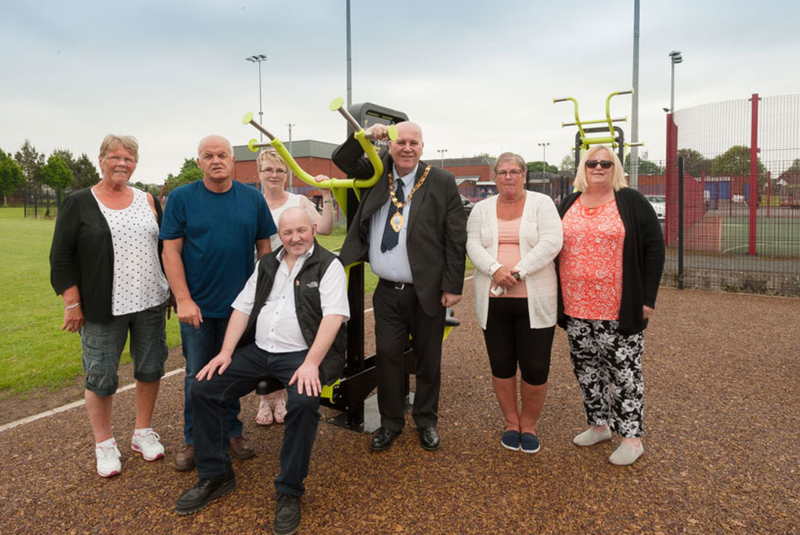 Speaking at the official opening, outgoing Mayor, Paul Reid commented: “Outdoor gyms are an affordable activity to help with good health and wellbeing improvement. I’m sure the residents of Ballykeel will enjoy using this wonderful new facility for years to come. Image: Edna Speers, Ballykeel Together Development Association; Chris Bowyer, Ballykeel One Moving Forward; Councillors Donna Anderson and Reuben Glover; outgoing Mayor Paul Reid; and Sandra Kilpatrick and Laura Dewar, of Ballykeel Together Development Association enjoying the new facility.